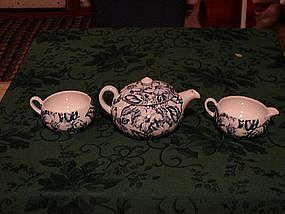 Seyei china tea and crumpets trays. Pattern number 2102. 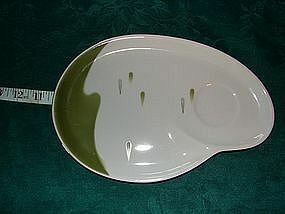 Trays are 10 1/2" long. Marked Seyei China Nagoya Japan. Mint Condition. Seyei china cup. Pattern number 2102. Cup is 2" tall. Marked Seyei China Nagoya Japan. Mint Condition. 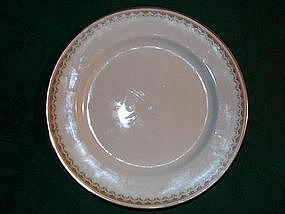 Royal Doulton Pomeroy plates. All blue color. Plates 10 1/2" dia. Marked Royal Doulton, Pomeroy. Mint Condition. 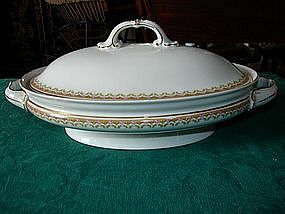 H & C co. Selb Bavaria serving bowl. 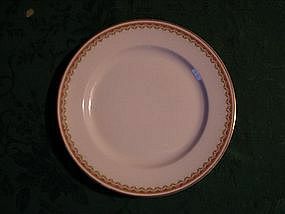 H & C co. Selb Bavaria dinner plates. Beautiful 9 5/8" plates. Garland of roses and green trimmed in gold. Beautiful!!!!. Pr-1930. Mint condition. 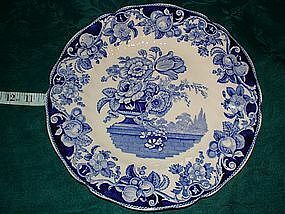 H & C co. Selb Bavaria serving platter. Beautiful 13" dia.Garland of roses and green trimmed in gold. Beautiful!!!!. Pr-1930. Mint condition. 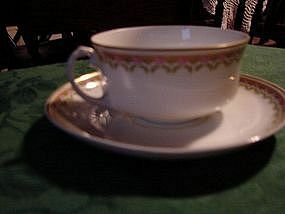 H & C co. Selb Bavaria cup and saucer set. 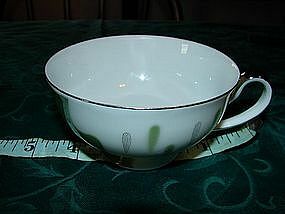 H & C co. Selb Bavaria cup and saucer. 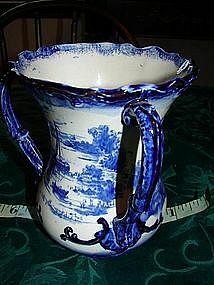 Beautiful 2" cups. Garland of roses and green trimmed in gold. Beautiful!!!!. Pr-1930. Mint condition. 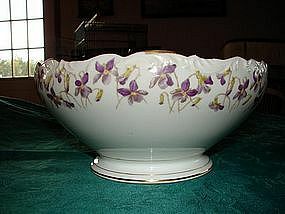 H & C co. Selb Bavaria fruit/dessert bowl. Beautiful 5 1/8" bowls. Garland of roses and green trimmed in gold. Beautiful!!!!. Pr-1930. Mint condition. 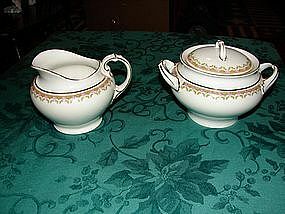 H & C co. Selb Bavaria soup bowls. Beautiful 71/8" bowls. Garland of roses and green trimmed in gold. Beautiful!!!!. Pr-1930. Mint condition. 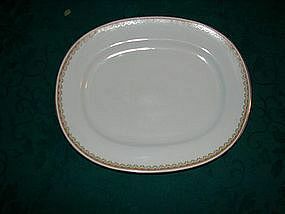 H & C co. Selb Bavaria bread n butter plates. 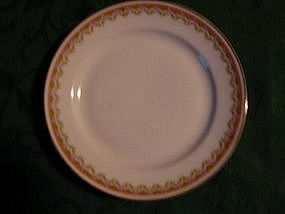 H & C co. Selb Bavaria bread n butter plates. 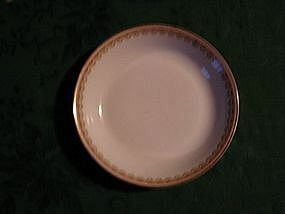 Beautiful 6" plates. Garland of roses and green trimmed in gold. Beautiful!!!!. Pr-1930. Mint condition. 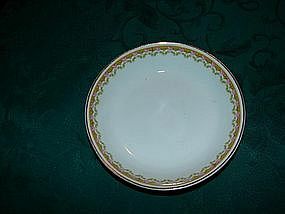 H & C co. Selb Bavaria Salad plates. Beautiful 7 5/8" plates. Garland of roses and green trimmed in gold. Beautiful!!!!. Pr-1930. Mint condition. 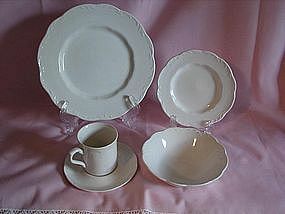 Meakin Sterling Colonial five piece place setting. 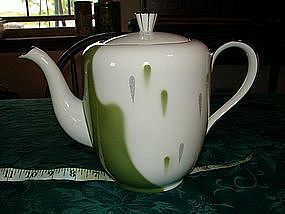 Includes cup n saucer, dinner plate, dessert plate, and soup bowl. 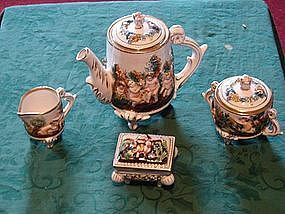 Made by J&G Meakin Co. England. Inquire about full set pricing.